If you you have never learnt how to optimise Microsoft Outlook, when I say the term ‘Microsoft Outlook’, I bet you immediately think ‘Email’. But what if I told you it can offer so much more? 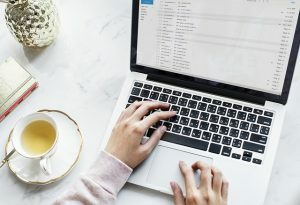 While it’s true that Outlook has made its name as the primary email software at many workplaces, using it solely for email is a bit like using an iPhone for its clock. When it comes to Microsoft Outlook, email barely scratches the surface of its power and functionality. Microsoft Outlook can be optimised to achieve so much more! Many people often think they need a bunch of other tools in addition to Outlook to manage their tasks, time and projects. But when fully optimised, Microsoft Outlook combines most of the features people are looking for in one place. Somewhat ironically, many workplaces actually lose productivity while employees are pursuing the ever-expanding universe of browser-based platforms, or using Excel or even Word to create To Do Lists etc. Some of these certainly help, but why not use the functionality already available to you in Microsoft Outlook? Think about it: when you first arrive at a new job, you’ll receive your computer, an email address, and then you’re thrown into the work. There is very rarely an orientation that helps you fully integrate project management, calendar, tasks and email. When it comes to learning the inner-workings of Microsoft Outlook, we often have to go it alone. There is very little training done on how to optimise Microsoft Outlook, let alone how to use it to be more productive. Since most people consider Outlook as solely a means to manage email and their meetings, they don’t necessarily jump in with both feet and figure out the additional features of the program that would help them. Let’s take a look at Microsoft Outlook in a little more depth and see what features can help you stay on top of your work, without looking for a new silver bullet. Think about the practice of emailing yourself reminders and tasks… or leaving those messages ‘unread’ until you have completed them entirely. Some people also choose to forward the most important emails to themselves to keep them high on the list. We’ve all been guilty of it at some point and certainly, that’s one way to create an ad-hoc to-do list. However, it takes time, clutters your inbox, and makes it frustrating to figure out whether or not the whole to-do list is complete at a glance. Is there a better way? In fact yes! Microsoft Outlook has a Tasks feature which is a great way to truly organise your schedule for what to work on next. Learning the ropes of Tasks may take a few minutes, but it will save valuable time and create a far more orderly to-do list. For emails that require some action or follow up on your part, Email Flags are a great option. Far more efficient than emailing yourself! You can even select a date for future follow up and have your Flags ordered accordingly. Why scan when you can search? Are you the kind of person who spends time scanning through old emails, looking for important information, reminders or follow ups? It’s horribly inefficient. But with the Instant Search Function and some Microsoft Outlook training, it is possible to find any email you need very quickly. I cannot tell you how much time people will spend saying, ‘I swear, it was right here…’ while endlessly scrolling through their emails and folders. Searching intelligently is the map you need to find the treasure buried in your inbox. Another thing to consider is the layout of the Outlook screen/view. Did you know that the default view is not the only way to organise Microsoft Outlook? You can choose from a variety of different views to find the particular setting that works for you. Each of these views can then be further customised to improve your productivity. While it may seem like an unnecessary, ultra-productive step to optimise your Microsoft Outlook screens, you will be surprised by how energising it is when you can suddenly view your To Do List, Your Emails and any upcoming appointments from the one screen. I call this; setting up your Microsoft Outlook Dashboard. Being able to view everything you have to do from one screen actually improves your productivity even more! Microsoft Outlook also has little-known connections between the Email function, Calendar function and the Tasks function that can be utilised to save time and increase your productivity. If you know your deadlines, know who needs to be involved, and know what kinds of time you have available, you can use Microsoft Outlook to actually plan out your entire workday structure. When you plan ahead and don’t have to spend time dithering over what should be accomplished next, you end your days feeling like you’ve truly achieved your objectives. So… Why haven’t I found this stuff before? There are plenty of reasons why people don’t fully use Microsoft Outlook, but it mostly comes down to the old philosophy ‘this is the way I’ve always done it’. Very few people receive specific training in how to optimise Microsoft Outlook and are left to find their own way, often never realising that these powerful features exist. Ignoring the nagging feeling that there is more to know about your Outlook program, giving in to the fear that if you explore, you’ll just end up breaking something or losing productivity overall. Other people in the office don’t use the tools, so we give in to the ‘peer pressure’ to achieve a similar level of productivity without using Outlook. You are so busy that, ironically, you feel you don’t have time to search for time-saving tips. Many busy executives fall into this trap, even if blocking off a few hours to learn new strategies would drastically reduce their work stress. It’s definitely worth your time learning how to optimise Microsoft Outlook to achieve more. No matter how long you’ve been using Outlook, there is still time for you to master this incredibly powerful program. Check out our Productivity with Outlook Training for yourself or your team; you’ll never look at email the same way again. Those who complete our Productivity with Outlook Training often tell me that it’s a major transition in their work lives. It also offers insights that can help you achieve harmony and flow in your workday, helping you stay on top of tasks and deliver your projects on time.